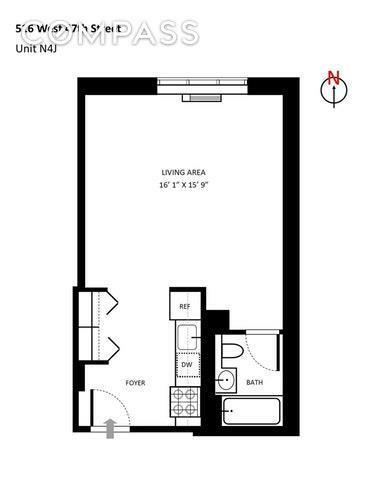 Great investment opportunity!Large studio apartment available at Clinton West Condominiums!Features include:bamboo floorsgreat closet spaceopen kitchen complete with granite countertopscustom maple cabinetrystainless steel appliances.One of the largest studios in the building, unit N4J comfortably fits a queen size bed with ample space for more. Enjoy the modern comforts with central AC and radiant heat floors in the bathroom.Delivered with a tenant in place or vacant.Clinton West is a full service doorman building with amenities including fitness center, landscaped garden, laundry room, Wi-Fi enabled resident's solarium and even an outdoor putting green. 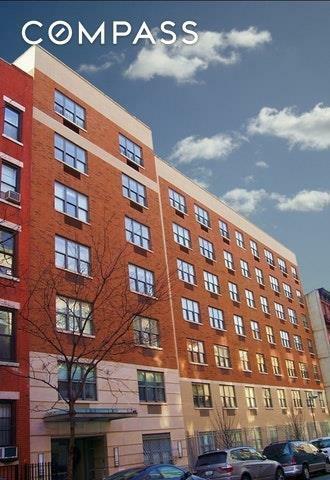 516 West 47th Street is located in the dynamic neighborhood of Hell's Kitchen with a number of restaurants and entertainment minutes away from Broadway theaters and the Hudson River Park.